THE SECOND annual Farmstock Festival is coming soon to a farm near you. On September 1 and 2, Fred’s Homegrown and KMUN Coast Community Radio are teaming up again for a weekend of local food, music, and fun at Fred’s Farm in Naselle, WA. Farmstock is the brainchild of former chef and restaurateur turned farmer Fred Johnson and is held on the grounds of his historic farm. It is a harvest celebration of everything that is fresh and local. “We’re inviting all aspects of the local food infrastructure to participate in Farmstock, growers, processors, and consumers. Ultimately, we need to keep our food dollars local, build a local food system of production, processing, and distribution,” says Johnson. Although the premise of Farmstock is serious, the end result promises to be enjoyable. Good local food, good local music, fun and conversation in a beautiful setting. It’s a chance to gather with old friends, make new ones, and maybe learn something along the way. Last year, Kim Angelis was a crowd-pleasing hit. Angelis returns to the Farmstock stage with her husband Josef and the bellydancers. Other Confirmed acts as of Hipfish press time include Nice Nice, Michael Hurley, Anitize, Sweet Young Thing, and Ma Barley, with more likely to sign on. Catch live music at Farmstock from 10:30am – 10pm on Saturday. This year, a wide variety of free workshops will be presented on both Saturday and Sunday. Subjects to be covered include Beekeeping, Seed Saving. Eating Locally Seasoning Globally, Community Gardens, Yoga, North Coast Food Web Mobile Gardens, Blacksmithing, Biochar, Maritime Gardening Challenges, Lager and All-Grain Beer Brewing, Tinctures 101, Farm Habitat Restoration, Growing and Using Lavender, Making Fruit Wines, and more. Have a skill or interest you would like to share by offering a workshop? A few slots are still available. Contact Carol Carver at river4mama@yahoo.com. There is no registration for workshops, just show up. A schedule will be available closer to event time at the Farmstock page on Facebook. Vendors will exhibit and sell their wares on Saturday only from 10am on. Expect to find handmade wares ranging from arts and crafts to consumable items like produce, pickles, tinctures, and more. KMUN will hold a raffle for a quilt and other items. Farmstock t-shirts and totes are available for $15. If you would like to vend at Farmstock, contact Julie Tennis at julietennis@gmail.com. An informal food court will be located near the barn kitchen all day Saturday and Sunday morning. Tasty offerings will showcase ingredients from farms in the area. Hungry festival goers will be able to purchase pizzas, vegetable tempura, BBQ pork, vegetable kebabs, seafood, non alcoholic beverages, sweet treats and much more. Don’t forget the ever-popular Fort George Beer Garden, open on Saturday. Fred Johnson will demonstrate cooking techniques with Oregon pink shrimp, kindly donated by Bornstein Seafood, on Saturday afternoon. Additional food demos are in the works. Joanne Rideout and Tom Hartland of KMUN hold the raffle quilt. The special Farm Dinner at 1pm on Sunday will highlight local ingredients. The menu includes salmon, spicy green beans, Mexican corn pudding, roasted root vegetables, sautéed greens, salads, dessert, and more. Tickets for the dinner are available at KMUN and are $25 until August 31, $35 at the door (cash or checks only at the door). Sponsors are wanted to assist with funding onsite preparation and infrastructure prior to Farmstock. Donations will go toward covering the cost of mowing the fields to be used for parking and camping during the festival and will help feed the army of volunteers. Up-front costs are expected to be around $1000 – $1500. Sponsors will be given food credits that they can spend at Farmstock and their names will be included on special limited-edition Farmstock t-shirts. Email Fred Johnson at homegrown@wwest.net for more information. Volunteers are wanted to help with parking, food and beverage service, general schlepping, cleanup, etc. FMI or to sign up, email julietennis@gmail.com. For the Farmstock flyer, driving directions, and event schedule, go to: coastradio.org/farmstock.html or visit the Farmstock page on Facebook. Admission to Farmstock is free, parking is $5 per vehicle, camping (no hookups) is $20 per vehicle. Camping spaces are available on a first come, first served basis. All monetary transactions onsite at Farmstock are by cash or check only. An ATM is located about one mile away at Bank of the Pacific in downtown Naselle. Festival goers are encouraged to leave their dogs at home. Proceeds from fees and tickets go to support Farmstock and KMUN. Fred Johnson raises vegetables and organically certified hay on his 70-acre historic farm, located at 201 S. Valley Rd., Naselle, WA. He is especially known for his tomatoes and greens. He sells produce to local restaurants, and to the public via CSA subscription, and at farmers markets. He caters weddings and other events at his farm and owns a hardwood flooring business. Visit him online at fredshomegrownproduce.com. The plight of pollinators has been in the news the past several years causing concerns about diminished food production and the overall health of the environment. In an effort assist with the stewardship of local pollinator habit, Lower Nehalem Community Trust and North Coast Land Conservancy will co-present Eric Mader from The Xerces Society in a one-day workshop entitled “Attracting Native Pollinators.” The workshop is offered in two parts and will be held July 6 beginning at 10:00 a.m. This a rare opportunity to learn from a member of The Xerces Society team. Eric brings real-world experience having worked as a commercial beekeeper and crop consultant for the native seed industry where he provided weekly insect and disease scouting on hundreds of plant species grown for prairie restoration efforts. Eric is also an extension professor at the University of Minnesota’s Dept. of Entomology and has authored several books and government management plans for native pollinators. Part II is geared towards a more general audience and asks the question: what is the difference between a non-native and native pollinator? Eric will share best practices for encouraging native pollinators in home landscaping and domestic gardens. Bringing back pollinators promotes four basic principles: grow pollinator-friendly flowers, provide nest sites, avoid pesticides and help to spread the word about the importance of native pollinators. Part II, which runs from 4:00 – 5:30 p.m. is a lecture-style presentation followed by a Q & A, and is free for LNCT members and participants in Part I and $5 for non-members. 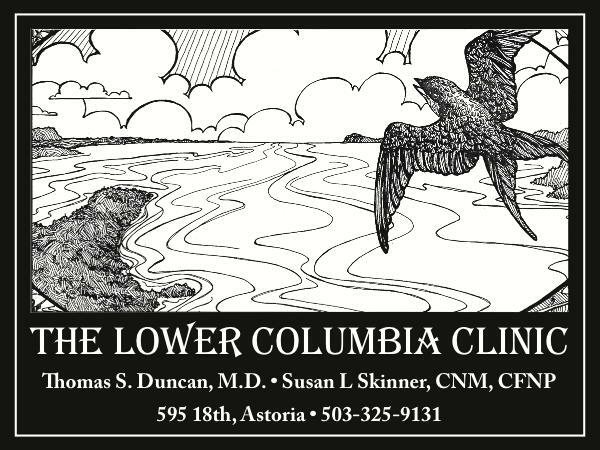 Both aspects of the program will be held at LNCT’s Alder Creek Farm located off of Highway 101 at the end of Underhill Lane in Nehalem. FMI: call 503-368-3203 or lnct@nehalemtel.net. THIS one is for you egg eaters out there in Hipfishland who need a little help to make an informed choice when it comes to buying eggs. Today, there are several options in the egg section at your local grocery store beyond the factory-produced “offspring” of Big Ag. My purpose here is not to be preachy about whether you should or should not eat eggs. Instead, I will explore some of the common terms used when marketing alternatively produced eggs. Egg Carton 101, so to speak. Many of us (myself included) like to imagine that the eggs we eat come from happy chickens that have the run of a fenced in yard all day, then hop onto a roost in the coop to go night-night. For most of the eggs available in the grocery isles, that little fantasy couldn’t be farther from the truth. Horrifying as this industry is, it is regulated with respect to the minimum amount of space that each bird is allowed. Ever so slowly, regulations are changing toward requiring more humane conditions for the chickens. Several countries (unfortunately not the US) have outlawed battery-cage methods of egg production and the EU has been phasing out the process over several years, culminating in 2012. The good news is that there are more humane and healthy methods now in use for egg production. Egg distributors take advantage of public interest in humane conditions for animals by marketing their products using terms such as “cage-free”, “free-range”, or “natural.” Some of the terminology used on egg cartons refers to the chicken’s diet, others to the chicken’s living conditions. Cage-Free means that the hens are raised in barns, but they are not caged and can move about. This allows them experience some of the things chickens like to do: flap their wings, scratch at the floor, take dust baths, get a little exercise. They might or might not still be fed hormones, have their beaks trimmed, and live in the dark. “Free Range” as read on an egg carton doesn’t really mean that chickens get free access to the great outdoors. The US Dept. of Agriculture requires only that the birds have access to outside part of the day, yet allows egg producers to label these eggs as free-range. Anything more generous than that is up to the farmers and distributors. Much of the terminology printed on egg cartons refer to how the hens are fed. Chicken eggs that are labeled as being high in omega 3 fatty acids are from hens that are fed a diet containing polyunsaturated fats and kelp meal. “Vegetarian diet” and “grain fed” refer to chickens that are not fed any meat, meat-by products, or petroleum-enhanced feed. Organic eggs, with the USDA organic symbol on the carton, are from hens that are fed only organic vegetarian feed and are also allowed some access to outdoors. As one might expect, organic free-range eggs are more expensive than factory eggs from battery-caged hens. A trip to a few local grocery stores yielded egg prices from $1.29/dozen for white factory-farmed eggs to $4.99/dozen for organic brown free-range eggs (sourced from a farm in Washington state). The word “natural” is a vaguely used term that may imply that chickens are not given hormones, antibiotics, or other drugs, except during illness. The true natural diet of chickens is what they would get on their own outside: grass and bugs. Pasture-raised free-range hens which forage largely for their own food (with some supplemental feed) tend to produce eggs with higher nutritional quality in having less cholesterol and fats while being several times higher in vitamins and omega 3 fatty acids than standard factory eggs. Pastured poultry are truly free-range chickens and their lives most closely resemble the Disney-esque fantasy I posited above. Their eggs are superior in taste compared to factory eggs and are much better for you. Sadly, local eggs from pasture-raised hens are currently not available in stores in our area. Eggs sold in stores must pass through government-regulated inspection and grading facilities, of which there are currently none on the North Coast. We can only buy local “grass-fed” eggs direct from farmers – at roadside stands, at farmers markets, or via CSA. The cost is reasonable, ranging from $3 – $5/dozen. To read more about the nutritional value of eggs from pastured hens, go to: motherearthnews.com/Real-Food/2007-10-01/Tests-Reveal-Healthier-Eggs.aspx. April 17, 2012 | Categories: EATINGtheCOAST | Comments Off on A little Egg-ucation. News on the food line. Hondo’s Brew & Cork first annual home brewer’s competition is currently underway. Contestants may register for the competition at Ft .George Brewery, 1483 Duane Street, orHondo’s Brew & Cork, 2703 Marine Drive. The deadline for registration is September 8, 2011.Brew samples should be submitted to Hondo’s Brew & Cork no later than Thursday, September 23before 8 p.m. Competition judging will take place between 11 a.m. and 1 p.m. at Hondo’s Brew &Cork on September 24. Brew samples should contain no less than 10 oz and be stored indark brown glass beer bottles. Three categories will be judged: pale ales, stout/porter and wheat brews. Rosettes for 1st, 2nd and3rd places will be awarded. The best of show wins a $25 gift certificate for home brew supplies at Hondo’s Brew & Cork and winner may have their recipe brewed by a local brewery and put on tap locally for bragging rights. Winners of the competition will be announced at Northwest Brew Cup Saturday, September 24 at evening’s end. Hondo’s Brew & Cork provides home brew equipment and supplies, brew instruction and bottle microbrew beer serving and tasting on premises. We have an extensive catalog featuring everything for the home brewer, as well as twelve handle draft Pub brews, selected from popular brew pubs in the Northwest and across the US. Make Charcuterie – that would be sausage. Making Charcuterie with Locally Raised Meats. Monday, September 26. A day-long workshop on making delicious, safe, and legal charcuterie (cured meats). Talks in the morning will cover relevant regulations and best practices for controlling pathogens during meat curing. In the afternoon, expert salumists will demonstrate techniques and best practices. $25, includes lunch. 8am – 4pm at EVOO Cooking School in Cannon Beach. Fro reservations call Kristen Frost Albrecht 503-325-8575. Tillamook welcomes new FoodCorps Service member, Emily Ritchie as she begins her year of service working at Food Roots. Ritchie is one of four FoodCorps members serving in Oregon, under Oregon Department of Agriculture’s Farm to School Program. Food Roots, in Tillamook County, is the only rural site in Oregon to be selected for as FoodCorps service site this year. FoodCorps is a brand new national nonprofit partnering with AmeriCorps. This year, 50 young people will be serving in the FoodCorps pilot project in ten states nationally. Their work seeks to combat childhood obesity and diet-related disease while training the next generation of farmers and public health leaders. Ritchie will be spending a year in Tillamook, conducting nutrition education, building and tending school gardens and connecting students and their teachers with our regional food system. She will be working with Tillamook Options Program School (TOPS). Ritchie grew up in Portland, OR but most recently has moved to Tillamook County from Los Angeles where she attended Occidental College. Parade Magazine’s Dash highlighted the program: “By leveraging federal funds and the revitalized public service program of AmeriCorps, FoodCorps aims to provide the people-power necessary to change the school food environment in communities that need it most.” wrote FoodCorps co-organizer Cecily Upton. “This is more than just another food pyramid poster on the cafeteria wall, FoodCorps is a school food army, putting boots on the ground in service for healthier kids.” FMI: Food Roots programs, please contact Food Roots at 5030842-3154 X2 or e-mail at farm2school@foodrootsnw.org or info@foodrootsnw.org. In recognition of the importance of organic farmers, processors and distributors to the state, Oregon Governor John A. Kitzhaber renewed a proclamation declaring September 12-18, 2011, Organically Grown in Oregon Week. This week-long celebration of the organic agricultural industry, including its certifiers, farmer’s markets and consumers, will include farm tours, grassroots events, wine tastings, and the presentation of the 2011 Oregon Organic Coalition’s Awards in Excellence on September 13, at the Ecotrust Building in Portland. This year’s luncheon will be keynoted by Jim Weaver, local politician, author and environmental activist. FMI and schedule of events, go to: oregonorganiccoalition.org/organicweek.html. Grant Equivalent: Farm & Food System Individual Development Accounts with Food Roots. Food Roots may still have openings for food system-related business owners or start-ups (low to moderate-income level) in need of financial support. IDAs are a state of Oregon initiative to help support micro-entrepreneurs (funded through tax deductible donations made to the state program). Individuals accepted into the program open savings accounts at participating financial institutions, agree to terms of the program; work with Food Roots and community partners to learn financial planning and business plan development skills; and use their savings and matched funds to purchase business assets that will propel them into successful local business owners (and in this case, food system-related businesses in Tillamook and Clatsop counties).Those interested in applying for a farm or food system Individual Development Account through Food Roots Microenterprise programming, or for more information about eligibility for IDAs, please contact Lauren Karl at (503) 842-3154 x 5 or email microbiz@foodrootsnw.org and visit our webpage at www.foodrootsnw.org/ida. North Coast Food Web is working a new angle to get healthy food on the table. River People Farmers Market, the flagship program of the Food Web has accepted Oregon Trails Cards from SNAP, (the program formally known as food stamps), WIC and Senior Nutrition vouchers since they opened in June, and now Starting August 11 River People shoppers will find their money going farther with the SNAP Match program. Using funds from a small matching grant put forth by the Astoria Cooperative, SNAP shoppers will be able to spend up to $10 more per week, per Oregon Trails card, on food. Thanks to the grant 10 SNAP dollars will now translate into 20 River People Dollars. Just how far will that money go? Here’s an example of what $20 can buy at the River People Farmers Market: a dozen free-range nutrient-dense eggs, a loaf of whole grain bread, 3 big bunches of dark leafy greens, and some beautiful vitamin C rich berries. And That can create 2-3 fabulous breakfasts for a family of four. The positive impact continues when the vendors spend the money they receive locally, increasing prosperity for our entire community. One small step for community food security. Adds up to a giant leap for the local economy. OSU Extension and the CCA Regional Food Bank will at the River People Market to promote the SNAP program. Application will be available on site. You can even sign up on line at: www.oregonsafenet.org. Or look to www.oregonhelps.org for info on SNAP, housing, health insurance, tax credits and cash assistance for families with children. September 8, 2011 | Categories: EATINGtheCOAST | Comments Off on News on the food line. ACCORDING TO CENSUS DATA, the average age of farmers in the US is above 50 and continues to rise. At the same time, the percentage of farmers under 35 has been on the decline. The ageing of the farm population has led to concerns about the long-term health of family farms as an American institution. Fortunately, an emerging group of people in their 20s and 30s are interested in farming as a career. Many of these young farmers are attracted to small-scale, less-mechanized, organic methods of farming and tend to gravitate to the farm-to-fork culture popular in the Pacific Northwest. Cesily Stewart, the sixth of eight children is in her late 20s and is the force behind Silverleaf Farm of Naselle, Washington. This year, she is selling her farm products for the first time at the River People Farmers Market in Astoria. She vends produce and flowers that she grows as well as value added products of her own creation such as herbal teas and sweet treats. She often shares a booth with Fred Johnson of Fred’s Homegrown, also of Naselle. Silverleaf Farm encompasses 14 acres of bottomland enclosed within a horseshoe bend of the Naselle River. The Stewart family, who has lived onsite off and on since 1984, owns the farm. Roughly half of the acreage is open field, the remainder is ancient overgrown apple orchard and forest with some old growth spruce remaining near the river. The main house and outbuildings dot the edge of the field. A pet horse roams freely except for the fenced-in garden areas. It’s a pretty spot if one edits out the new clearcut across the road to the south of the farm. For Cesily Stewart, the journey to becoming a farmer was inevitable. “For a long period of my life, I felt disconnected from the culture I was trying to participate in” she said. “After a series of soul-sucking jobs, I came to the point where living sustainably by farming seemed like the only thing to do.” She had been traveling for a time and had contemplated finding land for a farm. Near the start of the current recession, she was about to start a farm internship on the island of Maui when she made what she thought would be a quick detour home for a family visit. During that visit she learned that her parents felt they might lose their property. Because of this, Cesily decided to remain in Naselle. Over several months of discussion, Stewart, her parents, and her sister and brother-in law hammered out a plan that would allow them all to live on the family land and contribute to the mortgage together, with five of them sharing the payments instead of just two. Stewart now grows greens, squash, lettuce, broccoli, tomatoes, cucumbers and other vegetables along with medicinal herbs and flowers for bouquets on a ½ acre plot which is about the most as she can currently handle. There is plenty of room for expansion in the future, and she plans to start a CSA, but feels that she doesn’t yet have the experience needed for such a project. During Stewart’s childhood, her family always had a big garden. In making the leap to production-scale farming she has experienced a huge learning curve, while having to invest more money and effort than she had initially estimated. Last year when the production garden was first tilled and planted; she had to learn how much acreage she could realistically take on. “My big lesson this year has been trying to learn soil nutrition,” she says. One of the obstacles for new farmers who wish to avoid petroleum-based agricultural methods is a lack of knowledge. Young farmers used to learn from their elders, but the shift to large-scale factory farms in the 20th Century has left a knowledge gap of a generation or more. It is difficult for new farmers like Stewart to find mentors in an area like the Naselle Valley where, other than remnants of cow/calf production, agriculture has fallen out of fashion. She is able to consult with Fred Johnson to some extent as he has been farming in the area since 2003 and is a few years farther along the often-daunting learning process. Stewart realizes that at some point she is probably going to have to “bite the bullet” and attend a farm school. She is interested in Greenbank Farm on Whidby Island, Washington, which offers a 7-month sustainable agriculture program that teaches the technical and business skills needed to run a farm. She is also interested in studying herbal medicine, permaculture, and sustainable building, and acquiring primitive skills such as bow hunting. Ultimately, the Stewart family plans to operate Silverleaf Farm as a collective farm and sustainable living and learning center, offering workshops and hands-on experience in raising food and low-impact construction. Young farmers like Cesily Stewart are important. Big Ag as we know it is heading for inevitable changes away from the current heavy dependence on petroleum. We need a corps of innovative young farmers who will help transition the face of agriculture into a post-petroleum future. Kudos to Stewart for all of the hard work she has done and will continue to do! Norman Sylvester. The Original Northwest Boogie Cat has shared the stage with BB King, Buddy Guy, James Cotton, Junior Wells, Otis Clay, Tower of Power,Five Blind Boys of Alabama, Peter Frampton and many more National Touring Stars. Norman is one of the most engaging showmen around the Northwest and is totally dedicated to the soul healing force of Music. 2011 PROMISES to be bigger and badder than ever as the merchants of the Port of Ilwaco gear up for two days and nights of great local and regional blues and seafood. Friday Night All Star Jam brings back Robbie Laws and the newly configured North Coast Blues Band. Saturday is an all day event beginning at 2pm: It’s Boogie Bone, the Coyote Kings and the Norman Sylvester Band. Headlining is The Harp Breakers, a great lineup featuring Vyasa Dodson and Dave Melyan of the Insomniacs, Peter Dammann of the Paul deLay Band, harmonica great Bill Rhoades, Cliff Ashmon of the Hudson Rocket Band, Franco Paletta of Franco Paletta and the Stingers, Kim Field of Kim Field and the Mighty Titans of Tone, bass great Albert Reeda and Jim Rafferty. The Food Court is expanding as well, with lots more delights from Peninsula Seafood providers. And, of course, there will be Micro Brews, Regional Wines and BBQed Oysters from Willapa Bay. Zona Calda (Italian for “Hot Spot”) is known for entertaining audiences of all ages with swinging grooves and fresh takes on classic songs. Performing “Boho Jazz”, a term coined by the group to describe their eclectic repertoire, they cover tunes from jazz’s golden age, classic bossa novas, Motown and Soul hits and current favorites from artists like Norah Jones and Diana Krall. JAZZ AND OYSTERS celebrates its 26th year. Each August, the Festival site is transformed into a jazz club, complete with oysters, desserts, beverages, sausages and an array of other tasty tidbits. And then come the jazz fans and the music. Over the years, Water Music Festival has hosted some of the best musicians in the Pacific Northwest, and the music lasts all day. Jazz and Oysters is a major fundraiser for Water Music Festival in October, the peninsula’s classical music festival, and has historically been one of the most popular events of the year on the Long Beach Peninsula. This year J&O features ZONA CALDA 10:30 – 1pm, and Tall Jazz 2pm – 5pm. Food, flowers, and plants only. River People’s Farmer’s Market. Thursdays, 3 – 7pm, June 23 through September, possible into October. At the parking lot in front of Astoria Indoor Garden Supply on 13th St in Astoria. The market accepts EBT, and WIC and Senior Nutrition coupons. Seaside Farmer’s Market. Saturdays, July 2 – September 24 (excluding August 27), 1 – 4pm at the TLC Credit Union Parking Lot. Cannon Beach Farmer’s Market. Tuesdays, June 14 – September 27, 2 – 5pm. Located in the Midtown area of Cannon Beach. EBT, Visa, and Mastercard accepted. Tillamook Farmer’s Market. Saturdays, June 11 – September 24, 9am – 2pm. At Laurel & 2nd St in Tillamook. Food, plus handicrafts, art and more. Cowlitz Community Farmers Market. Saturdays, through October, 9am – 2pm. At the Cowlitz Expo Center in Longview, WA. Kelso Bridge Market. Sundays, May – September, 10am – 3pm. At Rotary Spray Park, on the lawn of Catlin Hall in Kelso, WA. Two Islands Farm Market. Fridays, 3 – 6:30pm, May – October. 59 W. Birnie Slough Rd on Puget Island. Trolley shuttle available from the Elochoman Marina at 3, 4, & 5pm and stops at the Chamber of Commerce in Cathlamet, WA. Weekend Market. Fridays and Saturdays on the first and third weekends of the month, 10am – 4pm. At the Long Beach Grange on Sandridge Road in Long Beach, WA. Saturday Market at the Port. Saturdays, April – September, 10am – 4pm. Along the waterfront in Ilwaco, WA. Astoria Sunday Market. Sundays, May 8 – October 9, 10am – 3pm. On 12th St in downtown Astoria. 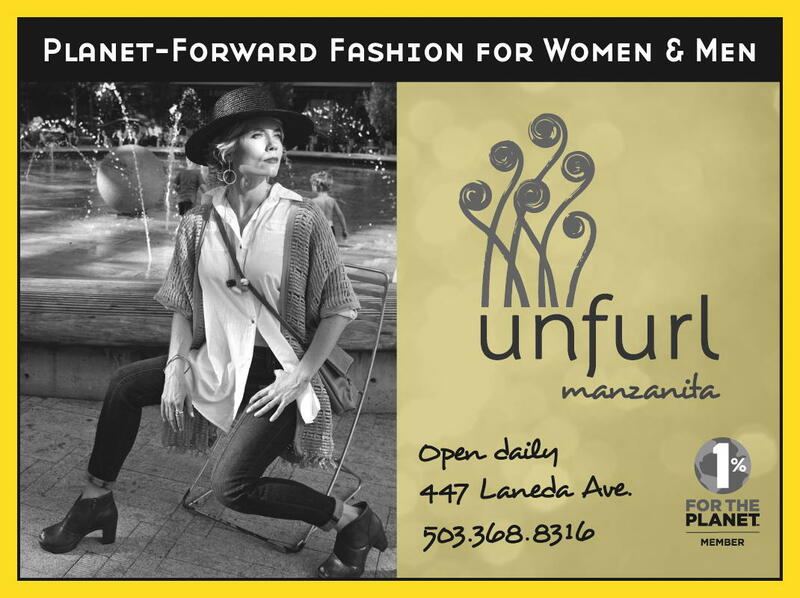 Manzanita Farmer’s Market. Fridays, June 10 – September 23, 5 – 8pm (5 – 7pm after September 9). At the Windermere parking lot on Laneda in Manzanita. Saturday Farmer’s Market. Saturdays, May 7 – October 29. 9am – 1pm at City Hall in Newport. EBT, WIC, Senior Nutrition, credit and debit cards accepted. THE TILLAMOOK COUNTY Pioneer Museum is presenting “Sample the Bounty of Tillamook County” on Sunday, August 14 from 1 to 3 PM. Taste your way through the history of early Tillamook County’s food industries by sampling traditional local foods and historic recipes. Tickets are $15 for adults and children over 10, children under ten are free. Tickets can be purchased in advance at the Pioneer Museum or at the door the day of the event. All proceeds will go to the “Tools for School” program to ensure the children of Tillamook County have the supplies they need to start the new school year. TCPM is proud to partner with the Commission on Children and Families, TLC Federal Credit Union and the Salvation Army. For more information, contact the museum at 503-842-4553 or visit www.tcpm.org. THIS CLASS is the 2nd in the raw food series. The focus is Italian inspired foods. The class will be making pasta out of zucchini and topping it with a delicious walnut-based pesto. Also, you also be learning how to make non-dairy parmesan. Dessert will be a delicious and nutritious cheesecake!! It too will be nut based and low glycemic index and much lower calorie content than the beloved and not so healthy traditional cheesecake. This class is vegan and gluten free. Must RSVP for class by Wed, Aug. 10th. Call Genevieve at 503-436-2255. CHECK OUT cannonbeachacupuncture.com for recipes. Every 2nd Thursday of the Month!!! Class No. 4, Thursday, August 11th @ 6:30pm-8pm, Location: 1457 S. Hemlock St. Cannon Beach. The Blue Scorcher has expanded hours, and is now open until 8 Friday-Sunday. After 5 the menu swings over to a modified menu featuring pizzas and light dinner specials show casing local and regional produce. Wines are available by the glass to accompany your meal. On Sunday August 7th Musician Bill Hayes of Swing Cats and Dismal Nitch fame will be playing music from 6-8 as part of the evening hours celebration. Look for more live music dates at the establishment to accompany your summer meals. Blue Scorcher is located at 1493 Duane St. in Astoria. What if you could bring over $4 million dollars into the economy of Clatsop County. Would you do it? According to Partners for a Hunger Free Oregon, who work in conjunction with Oregon Food Bank, approximately 3,100 people eligible for SNAP in Clatsop County are not taking advantage of the opportunity. If qualified community members would sign up, the annual value of the increased participation would translate to $4,430,324 more federal dollars in the local economy. The Food Web’s SNAP Match program is starting with only $500, which may seem like a drop in the bucket, however, when you consider the possible effects of the in-tandem sign-up outreach efforts, the impact could be huge. If you are eligible for food assistance and sign up, you can help bring $4,000,000 to Clatsop County. The current state of the economy is having far reaching impact on nutrition, that has food security organizations concerned. According to state estimates 1 in 4 residents of Clatsop County are eligible for food assistance, with over 50% of county children under age 18 eligible. Many seniors are also going without the food they need to be healthy. Who is eligible? You may be surprised. An individual making under $1,600 can qualify for food assistance. ($3,446 – for a family of 4) Assets like a house, car or money in the bank do not count against most people. The Food Web mission is to create a strong local food economy, and they would love to see those millions claimed and spent on nutritious local food. Hence the SNAP Match and outreach programs. The hope of the SNAP Match program is to feed more local calories to area residents, and the hope of the outreach effort is to improve community access to the information needed to facilitate those local meals. Individuals or organizations interested in contributing to the SNAP Match program fund can contact the North Coast Food Web at the OSU Extension office by calling 503.325.8573. Ask for Kristin at Family Community Health. FARMSTOCK is a community-building event that provides an opportunity for small-scale local farmers to connect with potential consumers in an informal setting. People of like minds with respect to food will be able to discuss and exchange ideas, experience new tastes, and enjoy good local music. On Saturday and Sunday, September 3 – 4, farmer and former restauranteur Fred Johnson is teaming up with KMUN to host Farmstock: a regional homegrown festival on his historic farm in Naselle, Washington. Farmstock, a locavore carnival of sorts, is a celebration of the food and music of our North Coast region. For several years, Johnson operated a successful restaurant on Vashon Island, Washington, but was still unable to get the farm-fresh produce at a price that his customers would support. Selling the restaurant and buying the farm in Naselle enabled him to finally combine his twin loves for cooking food and growing food. KIM ANGELIS will open the ticketed concert at 7:30pm at the main stage on Saturday. Admission for this event is tentatively priced at $5. Local musicians Niall Carroll, Tim Root, The Oyster Boys, and others will perform from 1 – 6pm. FREE WORKSHOPS are scheduled for 10 -11:30am and 1 – 5pm on Saturday. Subjects include: “Seed Saving,” “Poultry and Other Farm People,” “Biochar,” “Blacksmithing,” “Cottage Industry for Farming and Homesteading,” and more. Fred Johnson will be crafting farm pizzas with local fresh ingredients all day Saturday. Other munchies will be available as well. The Fort George Beer Garden will be open from 1 – 10pm on Saturday. At 10pm, following the concert, gather around the bonfire for music, conversation, and dancing into the night. Onsite camping will be available. Farmstock culminates on Sunday with a plenary discussion for stakeholders in our region’s sustainable future from 10am – 1pm. A special Farmhouse Sunday Dinner at 1pm caps the festival. The dinner will be created from locally sourced ingredients. Seating is limited; dinner tickets are $25 and are available from KMUN through August 19. KMUN is putting out a call to anyone interested in helping out with Farmstock. Vendors and are invited sell farm goods, arts and crafts, and more. Exhibitors are welcome. Chefs are encouraged to discuss and demonstrate their approaches to locally sourced and sustainable cuisine, either as presenters or vendors. A small fee of $10 will be charged to exhibit or vend. Volunteers are wanted to help with setting up, food and beverage service, general schlepping, cleanup, etc. INTERESTED IN PARTICIPATING in the production of Farmstock? Call Tom Hartland at 503-325-0010, or email KMUNfarmstock@gmail.com. For the Farmstock flyer and schedule, go to: coastradio.org/farmstock.html. ADMINSSION TO FARMSTOCK IS FREE, parking is $5 per vehicle, camping (no hookups) is $20 per vehicle. No dogs are allowed except service animals. Proceeds from fees and tickets support KMUN and Coast Community Radio. FRED’S FARM IS LOCATED at 201 South Valley Rd. in Naselle, Washington. Turn right off Hwy 401 in Naselle, just past Okie’s Sentry Market, onto South Valley Rd. Continue for about a mile. The farm is on the left. Fred Johnson, a chef and former restaurant owner raises vegetables and organically certified hay on the 70-acre historic farm that he has owned since 2003. He is especially known for his tomatoes and greens. He sells produce to local restaurants, and to the public via CSA subscription. He caters weddings and other events at the farm and owns a hardwood flooring business. Visit him online at fredshomegrown.blogspot.com. Thursdays, 3 – 7pm, June 23 through September, possible into October. At the parking lot in front of Astoria Indoor Garden Supply on 13th St in Astoria. The market accepts EBT, and WIC and Senior Nutrition coupons. Saturdays, July 2 – September 24 (excluding August 27), 1 – 4pm at the TLC Credit Union Parking Lot. Tuesdays, June 14 – September 27, 2 – 5pm. 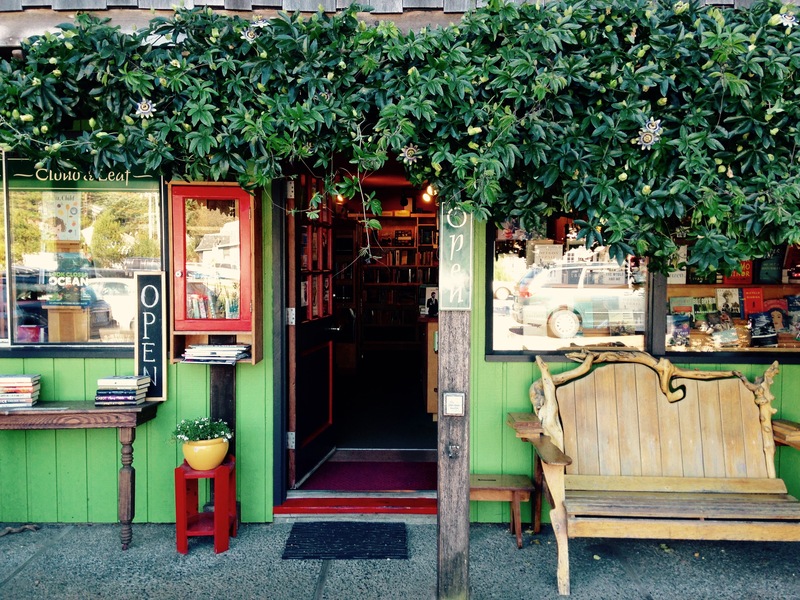 Located in the Midtown area of Cannon Beach. EBT, Visa, and Mastercard accepted. Saturdays, June 11 – September 24, 9am – 2pm. At Laurel & 2nd St in Tillamook. Saturdays, through October, 9am – 2pm. At the Cowlitz Expo Center in Longview, WA. Sundays, May – September, 10am – 3pm. At Rotary Spray Park, on the lawn of Catlin Hall in Kelso, WA. Fridays, 3 – 6:30pm, May – October. 59 W. Birnie Slough Rd on Puget Island. Trolley shuttle available from the Elochoman Marina at 3, 4, & 5pm and stops at the Chamber of Commerce in Cathlamet, WA. Fridays and Saturdays on the first and third weekends of the month, 10am – 4pm. At the Long Beach Grange on Sandridge Road in Long Beach, WA. Saturday Market at the Port. Saturdays, April – September, 10am – 4pm. Along the waterfront in Ilwaco, WA. Sundays, May 8 – October 9, 10am – 3pm. On 12th St in downtown Astoria. Fridays, June 10 – September 23, 5 – 8pm (5 – 7pm after September 9). At the Windermere parking lot on Laneda in Manzanita. Saturdays, May 7 – October 29. 9am – 1pm at City Hall in Newport. EBT, WIC, Senior Nutrition, credit and debit cards accepted. The River People Farmers Market (which debuted in Astoria on Thursday, June 23) provides eager shoppers yet another opportunity to buy farm fresh locally raised food. Market volunteers estimate that more than 1,000 people visited or participated in the market on opening day. Vendors offer vegetables, strawberries, flowers, edible plant starts, eggs, meat, and seafood. Bread and other baked goods, jams, vinegars, teas, sauerkraut, kimchee, fresh and aged cheese, wildcrafted nettle pesto, and other handmade goodies both cooked and raw are also available. The Market Café offers a changing menu gleaned from what is available at the market each week. Live music rounds out the market experience. The vendors include Astoria Sunday Market veterans 46 North Farm, Kingfisher Farms, Blue Scorcher Bakery, and Skipanon Seafood. The River People Farmers Market also serves as a platform for those new to farming and/or selling such as Love Warrior Gardens of Svensen and Silver Leaf Farm of Naselle, WA. The River People Farmers Market was set up by North Coast Food Web and is operated by volunteers. The River People Farmers Market complements rather than competes with the Astoria Sunday Market, providing a second weekly opportunity for Astoria area residents to score the freshest possible local food, and more chances for local farmers to market their produce, plants, and products. Unlike the Sunday Market, the River People Market, along with other new farmers markets on the North Coast, focuses primarily on food. More than anything, markets like the River People Farmers Market promote community. Consumers have the opportunity to buy the fresh local food they are increasingly demanding and to learn more about what they eat and who produces it. Farmers have the opportunity to sell their output directly to the consumer. Both farmers and consumers have the opportunity to meet, to learn, to exchange ideas, to socialize. It’s a relaxed environment, a great place to meet friends and make new ones, to taste something new, to learn a new recipe, to hear the story of how your food came to be, and of course to find some great local food! The River People Farmers Market runs from 3 – 7pm every Thursday through September in the parking lot at Astoria Indoor Garden Supply on 13th St.
Debit, credit, and SNAP cards are accepted, but dogs are not allowed in the market area. Interested in becoming a vendor? Go to riverpeoplemarket.org/vendor-info/ for a Market Handbook and vendor application. I have found a new subtle group of foods that completely fit the bill for summer sensuality. It all started one night while rambling through an urban park. The hour was late-ish, the company and weather fine. I was surrounded by aromatic and visually compelling roses, all colors and sizes. I began with mere quaffing of fragrances. Full and ripe, these roses invited first that I bury my face in their abundant offerings, and then the tasting was inevitable. I overrode my questions of pesticides and chemicals for a walk on the wild side. I plucked a petal from a just-past-her-prime bloom and put it gently into my mouth. Ah! The delicacy, the subtle flavor, the richness! I was hooked. Flower to flower I flitted, like some oversized night pollinating butterfly, sampling the culinary vagaries of the roses. Of course, we’ve most of us eaten flowers at some point, in a salad or perhaps in ice cream (think the nouveau penchant for lavender). But how many of us eat these delicacies at home? I encourage garden grazing, with the usual caveats: if you don’t know it’s edible, don’t eat it; and of course if you’ve just peppered it with RoundUp, well . . . duh. Bee Balm (Monarda species) is similar to bergamot and can be used to flavor tea. Calendula (Calendula Officianalis) called “poor man’s saffron” the golden or orange petals add a joyful hue to salads and ethnic foods. Peppery in flavor. Violet (Viola species) are sweet like nectar and of course are spectacular candied. Thyme (Thymus Vulgaris) are lemony in flavor and dee-lishus in subtle pasta dishes. Dandelion (Taraxacum officinalis) add color and zest like calendula, and young buds can be fried as they taste similar to mushrooms. Cornflower (Centaurea cynaus) taste sweet and spicy, almost like cloves. Impress your friends: bring cupcakes with candied violets to next backyard do. The Tillamook County Master Gardener Association hold its fifth annual Spade and Wade Garden Tour, SATURDAY, JULY 23, from Noon to 5pm. The six gardens, located in Tillamook and Netarts, will include such features as unique garden design, wide plant variety, ponds, topiary, vegetables, use of native plants, original combinations of color and texture, and beautiful garden settings. Visitors will have the opportunity to see which plants grow and thrive in our various microclimates and how gardeners deal with the challenges of deer, elk,salt and wind. The tour is self-guided, and gardens may be visited in any order. Also included in the tour is TCMGA’s own Learning Garden where refreshments will be served. Plant sale 9am to 3pm near the Pioneer Museum in Tillamook. Plants will be provided by local master gardeners. ALSO birdhouses, garden art, herbs, natives and much more. Proceeds from the garden tour and plant sale support college scholarships for deserving county residents, the Learning Garden at the county fairgrounds, and gardening education throughout Tillamook County. Passports for entry into the gardens will cost $15 and may be purchased at the OSU Extension office in Tillamook, or the Pioneer Museum. Passports will contain garden descriptions and complete driving directions. 503-842-3433 or 503-355-2655. July 11, 2011 | Categories: EATINGtheCOAST | Comments Off on CSA: Connect with Something Amazing! Explore the culinary offerings at Astoria Sunday Market through the eyes of a chef! Discover new and exciting ways to create a feast from produce, berries, fish, baked goods and other tasty temptations found at the Market by joining “Chef Daddy” Chris Holen. Chef Holen sends participants on a shopping spree through the Market to find ingredients you’ll use to prepare an interesting and sumptuous Scavenger’s Feast with his guidance at Mise En Place Kitchenware. For reservations call Mise En Place at 503-325-7414. 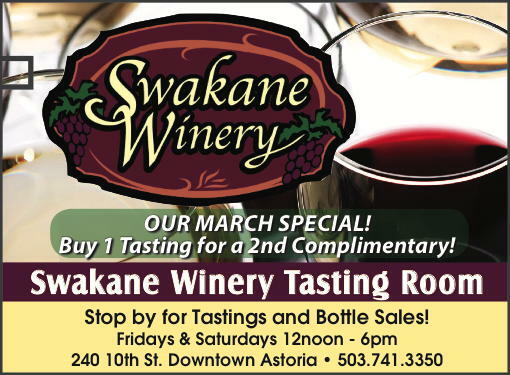 Cost is $45 per person with a portion of the proceeds benefitting Astoria Sunday Market. 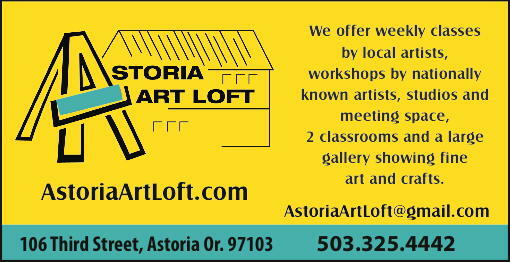 Astoria Sunday Market takes place in the heart of historic downtown Astoria on 12th Street. Mise En Place Kitchenware is just one block from the Market at the north end of 12th on the Columbia River. The Scavenger’s Feast was created by Astoria Sunday Market to connect people with produce and other Market products in an entertaining program. “The partnership with Baked Alaska has created a truly interesting and fun way to enjoy our Market and historic downtown,” added Director Cyndi Mudge. Chef Holen along with his wife Jennifer own Baked Alaska Restaurant in Astoria, which celebrated its tenth anniversary earlier this year. Baked Alaska & Mise En Place Kitchenware is located at #1 – 12th Street in Astoria. Cannon Beach Farmer's Market. Every Tuesday, 2-5 pm, June 14-Sept 24. Columbia-Pacific Farmer’s Market. Fridays, 3 – 7pm, May Through September. In downtown Long Beach, WA. Workshops, Classes, How-Tos, Events . . . .
Slide Shows Online. Learn how to build your own hoop house by watching a series of slide shows put together by the Kerr Center for Sustainable Agriculture. Prospective builders are taken step by step through the construction process. Cost estimates, a list of resources, and links to websites with more information are presented. To see the slideshows, visit: kerrcenter.com/publications/hoophouse/hoophouse-how-to-slideshow.htm. Northwest Earth Institute Gathering in Sept.
Northwest Earth Institute will hold their Annual North American Gathering September 15 – 18 at Fort Worden State Park and Conference Center in Port Townsend, WA. This year’s gathering is entitled “If Not Me, Then Who? Building Healthy Communities and Local Food Systems One Day at a Time.” Events at the gathering include workshops on sustainable food, edible landscaping, dynamic community organizing, networking and community building. Will Allen, named one of Time’s top 100 most influential people in the world in 2010 because of his inspiring food justice work in low-income neighborhoods, is this year’s keynote speaker. Space at the gathering is limited, early registration is encouraged. For schedule, fees, and registration: nwei.org/north-american-gathering/. Collecting Rainwater for Future Use. $10 suggested donation. June 8 at 6pm at the Long Beach Grange on Sand Ridge Rd in Long Beach, WA http://www.longbeachgrange.org/Classes.html. Build a Solar/Wood-Fired Bath House. A 7-day intensive workshop. June 13 – 19 from 8am – 5pm. The hand-on course will cover the process of building a passive solar bathhouse from siting through site preparation, design, utilization of available resources, building codes, tool use, construction techniques, and time permitting, basic electrical and plumbing. The workshop costs $700 and includes breakfast, lunch, and all materials needed. Class will be held at R-evolution Gardens east of Nehalem. FMI: revolutiongardens.com/. September 26 from 8am – 4pm at the EVOO Cooking School in Cannon Beach. OSU Extension Clatsop County and the Small Farm Program are offering a workshop for North Coast farmers and chefs on making delicious, legal, and safe charcuterie with locally raised meats. Talks in the morning will cover relevant regulations and best practices for controlling pathogens during meat curing. Speakers include Maureen Taylor of Clatsop County Environmental Health, Will Fargo of Oregon Department of Agriculture’s Food Safety Division, and Dr. Karen Killinger of the Food Science department at Washington State University. In the afternoon, expert salumist Elias Cairo and Tyler Gaston from Portland’s Olympic Provisions will demonstrate techniques and best practices. Tuition is $25 (includes lunch). Space is limited. For reservations, please call Kristin Frost Albrecht @ (503)325-8573 or stop by OSU Extension Clatsop County, 2001 Marine Drive, Room 210, Astoria, Oregon 97103. June 6, 2011 | Categories: EATINGtheCOAST | Comments Off on Workshops, Classes, How-Tos, Events . . . .
Food Love – Fish On! SOMEWHERE in my mid-twenties a surfer boyfriend introduced me to he and his buddies’ Mexico surf trip staple, the fish taco, and this dee-lish meal-in-one permanently settled in my fave food archive. Fish tacos say travel and summer to me, and provide an instant holiday fiesta in my mouth whenever I eat them. Infinite in variety, the fish taco combines the best of fresh wherever you are—Hawaii, Mexico, the Pacific Northwest. I’m not talkin’ bout those insipid facsimiles you get at chain taco stands, with a floppy fish stick—please!—enclosed inside a soggy tortilla, garnished with unripe tomatoes and mayonnaise. I’m referring to the fresh corn tortilla bursting with seasoned fish, sautéed veggies or imaginative salad, and garnished with a chunky salsa. Mexican inspired tacos might include snapper quick grilled in olive oil, with cumin, cayenne, and coriander and then flaked into luscious chunks. Julienned fresh red and green peppers, along with slivers of onion sautéed with a little salt and pepper can accompany the fish. Top with a just-made pico de gallo. Don’t stint on the extra cilantro and a dusting of cotija cheese. Island style fish tacos explode with tropical fishes such as mahi-mahi, ono, or ahi. Grilling the fish is the way to go, after a good soak in a marinade of sesame oil, garlic, ginger, tamari, and lime. Asian inspired flavors beg a fresh Japanese cucumber and fruit salsa—imagine pineapple, mango, or papaya with minced onion and cilantro. Sprinkle with fresh ground pepper and red tinged Haleakala sea salt. Coming home to the Northwest, a summer fish taco feast could include salmon, steelhead, or sturgeon. In line with seasonality, I like these firmer fish barbequed—not too well done!—with fresh herbs from the garden and a squeeze of lemon, and salt and pepper to taste. Sautee up a batch of kale, garlic, and capers and top with a chiffonade of basil and Italian parsley. Or try a raw chop of mizuna and garden-harvested salad greens and a chipotle kissed apple salsa. Top generously with cilantro or Italian parsley and skip the cheese—these flavoricious tacos don’t need it! Rice and a slaw or simple salad are great accompaniments to fish tacos, and I always prefer to use corn tortillas. Get creative and use shrimp or crab instead of fish. Possibilities of veg combos are endless, and really any fish lends itself to the taco form. Summer anyone? 2 medium apples, one red and one green. Whisk together vinegar, lime juice, adobo sauce, and honey. Toss with chopped ingredients, adding the apples just before serving. Chop, mix, serve. This is great as a salad on it’s own too. For salsa make the chop a little finer. June 6, 2011 | Categories: EATINGtheCOAST | Comments Off on Food Love – Fish On!